In recent years we have seen the rise of the so called illiberal democracy politics in Eastern European EU member states. The recent political events in Poland and Hungary might be the best example of such politics where citizens increasingly support political parties whose political objectives are against the EU rule of law principles and respect of all human rights. Other Eastern and Central European states are also vulnerable towards these types of attacks. From time to time, we can see the same pattern as in Hungary and Poland – attacks on civil society groups, independent media, independent culture, attacks on judiciary and the rise of xenophobia and homophobia. Women’s rights are also challenged. This is a clear sign that the citizens of Eastern European EU member states are willing to give up on some of the fundamental human rights values such as freedom of expression, freedom of assembly, free media, civil society or independent judiciary. Those trends are seriously harming our democracies. With this campaign, we want to send different messages from Eastern European states. We believe that illiberal democracies are ill democracies. We also believe that Europe has to change and embrace more democracy and provide stronger protection for all human rights values; from civil and political to social-and economic rights. We want to live in societies where liberal rights are not marginalizing socio-economic rights, and vice versa. 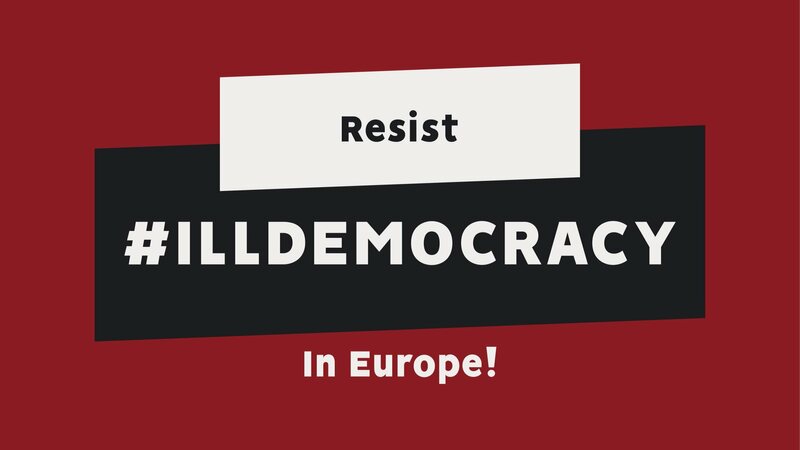 We - citizens of Eastern European countries, citizens of Europe, are saying that we do not support the rise of illiberal democracies. The idea of solidarity and democracy must survive in Europe. Only together we can heal our democracies. More democracy for more Europe! “We've arrived to an intersection where we have to decide - once again - the direction we want to take. Do we allow illiberal democracy to keep us in chains, or do we join forces and fly free towards a more just world order?”. “When thinking about the freedom of speech I realised that a spoken word has a great power inside and gives the light to whatever it touches. On the contrary, a word unspoken lives in the darkness of thoughts and ideas waiting until the light comes and somebody else has courage and responsibility to act". Help us spread the word about our campaign! Share this Tweet with your followers!